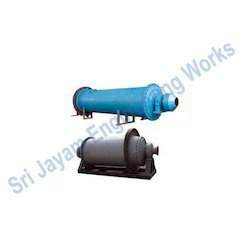 We are a leading Manufacturer & Exporter of Ball Mill such as Ball Grinding Mill and Industrial Ball Mills from India. The range of ball mill offered by us is made of superior quality iron and stainless steel and is used to process and for milling various kinds of ores or rocks in metal and non-metal mining and building material industry. It operates with the help of rotating a cylinder having steel grinding balls. The ball falls back into the cylinder and onto the material to the ground. 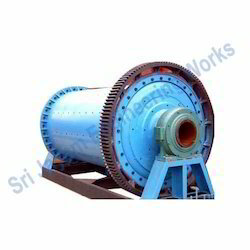 A Industrial Ball mill is of a large hollow cylindrical shape made up of steel and a rotators big gear a there to process from rotating the rolling gear and it is electrically operated for operation. It is used for grinding different types of material like cement and other raw materials which produces the material in the form of powder. This product is very easy to operate and gives reliable performance and having a large capacity to do the work perfectly. We export and supply ball mills in wide range to clients in a reasonable prices.